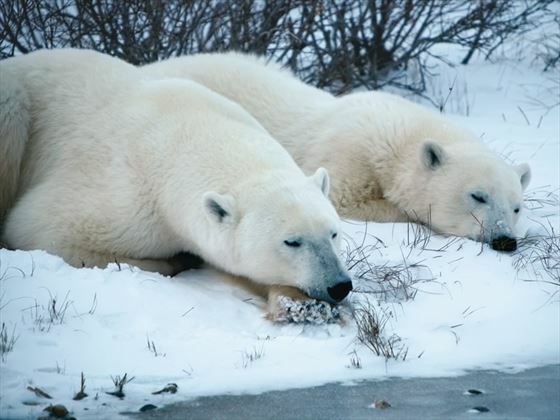 See polar bears in their natural habitat on this short tour into Manitoba. 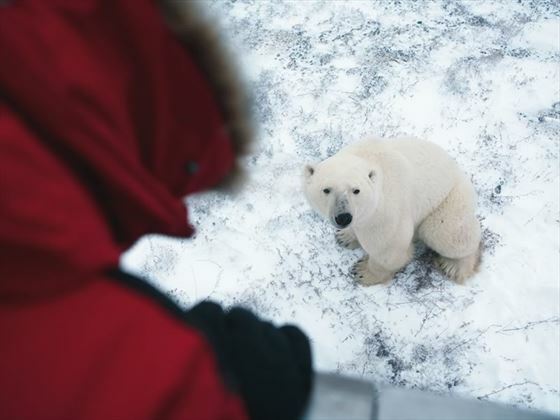 Fly into Winnipeg and then onto the characterful northern community of Churchill. You will stay in one of the small local hotels for three nights, and spend the days travelling from the town onto the Churchill Tundra. 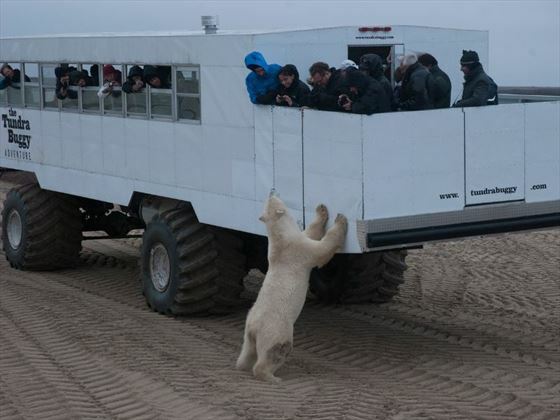 Once here you will tour the tundra to view the polar bears by the specially-designed Tundra Buggy.The Buggy meanders over a system of established trails, stopping at leisure to enjoy the scenery, search for wildlife, and take photos. When daylight begins to fade, you'll head back into the town. You'll enjoy a variety of different experiences including the Tundra Buggy adventure and activities such as dog-sledding, museum visits, cultural programmes and slide presentations. 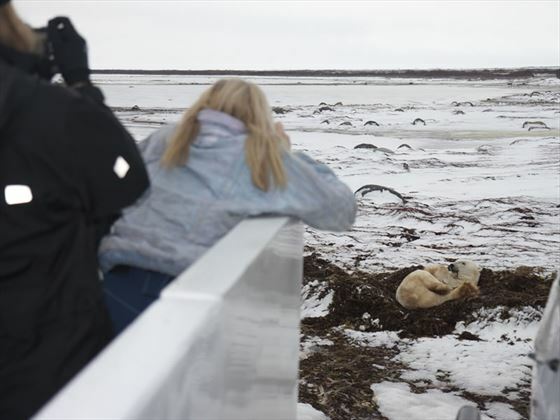 The maximum number of guests on any one tour is 22 - a great number of people to be able to socialise with but also have space to enjoy the polar bear experience. Dog-sledding excursion with local dog "musher"
Fly to Winnipeg. Overnight at the Four Points by Sheraton Hotel located at the Winnipeg Airport or similar. Early morning flight to Churchill with breakfast included onboard. Depart for town and area tour, and visit to the Itsanitaq Museum to discover the Inuit culture. Evening slide presentation by local photographer. Overnight Churchill hotel, all meals are included. Transfer each day to the Tundra Buggy launch area. 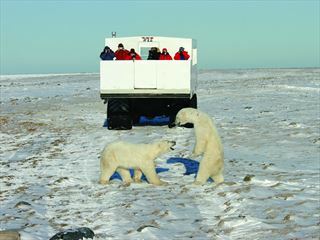 Two days spent in a Tundra Buggy with knowledgeable guide, viewing polar bears and other Arctic wildlife. All meals are included. Overnight Churchill hotel. Morning dogsledding and afternoon visit to Parks Canada Interpretive Center. Evening return flight to Winnipeg. All meals are included. Overnight Four Points by Sheraton airport hotel or similar. 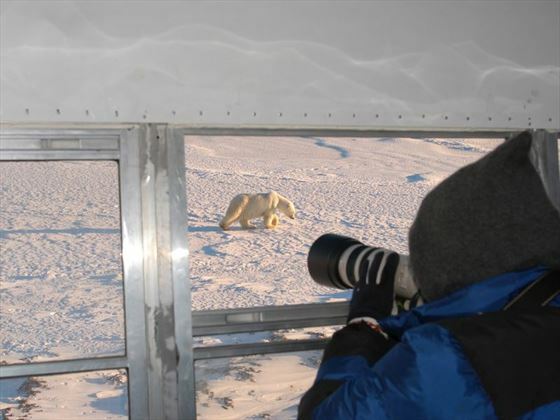 Churchill and Area Tour: A guided bus tour of local and historical points of interest surrounding Churchill, including such attractions as Cape Merry, Port of Churchill and Manitoba Conservation’s Polar Bear Holding Facility (weather permitting). Dog Sledding: Hosted by a local resident and dog sledding expert, you will learn about the history associated with dog sledding in Northern Canada. 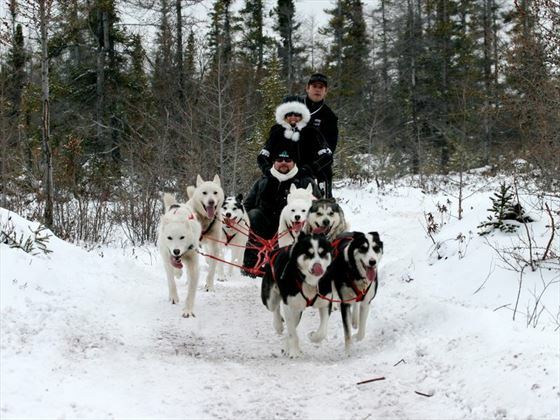 Enjoy an exhilarating ride behind a strong team of huskies on a custom-made sled (or cart, weather permitting). Join the musher’s for hot chocolate and freshly made bannock after your ride and share their personal stories of their dog sledding adventures. 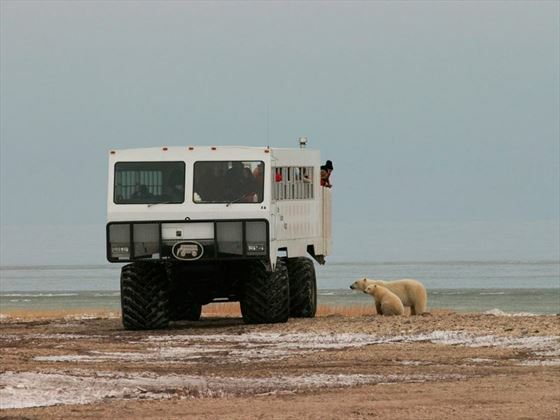 Interpretive-Guided Tundra Buggy Adventure: The best way to experience an intimate encounter with a wild polar bear is on an authentic Tundra Buggy. All of the Tundra Buggies are furnished with dual-pane frost-free windows and contain propane heating systems that closely resemble a cosy fireplace, with real flame (behind glass). Each day, we depart early and board the world famous Tundra Buggies looking for polar bears and other wildlife out on the tundra. You will enjoy picnic style lunches and refreshments while you are bear watching. 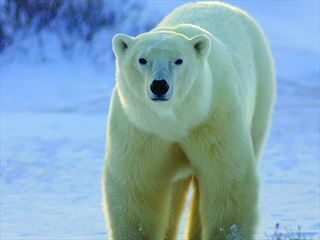 Parks Canada Interpretive Centre: Walk back in time viewing detailed and exciting wildlife dioramas, fur trade exhibits. View a series of videos on the history, culture and wildlife of the area. You leave chock-full of natural and historical information from the Churchill region. Slide Presentation: Conducted by seasoned residents. 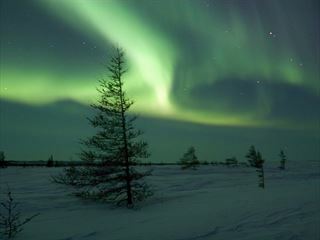 Relax and soak-up years of northern experience communicated in enchanting stories and magnificent photography.